Is it a good idea to reconstruct historical attractions, so they will bring in more tourists? What does it really mean to be authentic? The idea of having things that are “true” and “real” is very prevalent in these times. There seems to be a strong distaste in current Western society for any venture that is attempting to recapture aspects of a past era seamlessly. For this reason, governments would not be able to undergo a simple reconstruction of their buildings with the most historic significance owing to authenticity issues, public backlash, and an overall mental dissonance with the culture that originally produced the structures in question. The greatest architect would still have trouble creating a perfect replica of a building from long ago. Building materials differ between time periods. Even a budding young architecture student will be able to identify the different elements needed to create works from any designated period. These movements in architecture include, but are not limited to, Art Nouveau, Art Deco, Futurist, and Modernist (Construction Management Schools, 2010). This shows that it would be very difficult for a government to accurately reconstruct historic buildings as there would be a propensity to use the material that is most popular in the current time. Therefore, in the likely event that an architectural company—even one with the best experts and materials at its disposal—was not able to produce a work that pays due homage to the original builders, disappointment and criticism from the public would be imminent. Public outcries over projects that are deemed inauthentic are a common occurrence in the current era. Contemporaneously, when people are not impressed with a project—especially one that is a government initiative—they are quick to vent these frustrations online. A plethora of online resources exists that explore the reasons why members of the population feel much more comfortable complaining on the internet than in any other manner. A recent article published by MIT explores this idea in great depth. While the authors admit that not every customer (or, citizen for the purposes of this exploration) will resort to using the internet as a vehicle to express dissatisfaction, “online public complaining does happen every day in diverse forms and varying intensities” (Tripp & Gregoire, 2011). With the advent of the internet and social media, people in the general population are more equipped and more likely to learn about a topic and then publicly complain if there are any inconsistencies. Perhaps these kinds of pubic flare ups wouldn’t happen where newer versions of old buildings are concerned if the present-day constructor was able to channel the mental state of the original builder. Even an architect who graduated with the highest average in university is unable to reach a state of perfect mental concordance with a person who constructed a building many years ago. Times change, and so do ideas. Research has shown that the capacity and expression of critical thinking can change even within a human’s own lifetime (Costly & Seung-lock, 2013). Human brains are truly unique, and the creative ideas that an individual human brain can create are seemingly limitless. This is a concept that will have weight in an argument about whether or not a government would be able to oversee the reproduction of a historical structure. All in all, an architect of today can come close to achieving an authentic copy of an original structure, however, there are factors that prevent the attempt from achieving perfection. 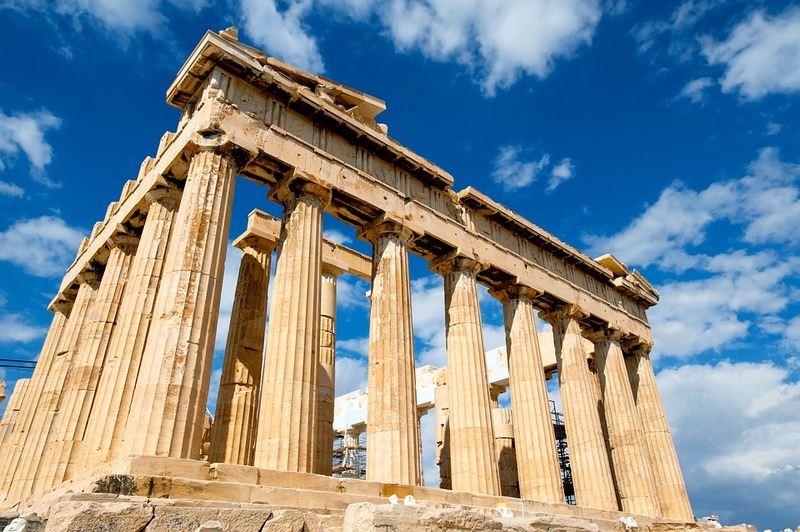 An inability to really and truly connect with the mind of the original builder, outrage and potentially viral anger from the public, and issues of authenticity are reasons why governments are not able to commission reconstructions of historically relevant structures. While cost could also factor in as a reason to explain the inability of governments to reconstruct older structures, the three reasons stated and explored above supersede one of monetary concern for the reason that perfectly reconstructed buildings would draw in enough tourists to negate the initial cost. It has often been quoted that “all roads lead to Rome”; this maxim wouldn’t exist if every culture that came after was able to reproduce Rome’s architectural glory. First of all we should warn you that you can’t use this history essay example as your own paper. With our sample, you can write a high-quality paper as well. BuyEssay.org offers you the opportunity to get the similar paper if you like our history essay example. We promise you that you will get a unique paper. All students who have placed orders on our site remain satisfied with our service. Our number one rule is to do everything we can to satisfy all customers’ needs. We work 24/7 for your convenience. Ask us to help you and we will solve your problems!